Description - Our Pompeii Carpet Tile squares come in more than 16 different colors. These beautiful yet durable "Berber" style carpets are ideal for any room in need of a splash of color. Pompeii tiles are a dense, compact carpet system that is perfect for any home or commercial carpet tile environment. Each Floor Carpet Tile is made of 100% solution dyed polypropylene with a bitumen backing. Material - 100% Polypropylene that is solution dyed with a bitumen backing. Weight - 1.19 LBS per square foot. Recommended Uses - Carpet Tile squares have been used in many commercial applications because of their durability and ease of maintenance. Floor carpet tiles can be replaced easily instead of having to clean the whole room, you can just pull up a tile and clean it! If a tile becomes damaged you can also pull it up and easily replace it. Because of the ease of use and durability, carpet tiles are being used more and more in residential homes. 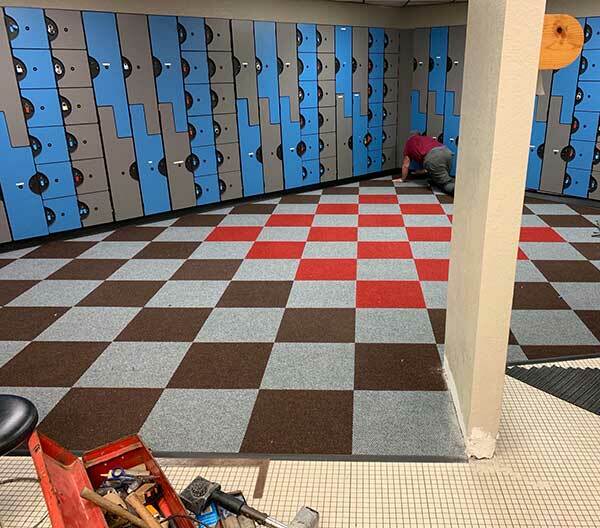 Here are some of the uses for these carpet tile squares: Entry way carpet tiles, Commercial kitchen carpet tiles, weight room carpet tiles, garage carpet tiles and workout room carpet tiles. These tiles are very durable and coarse so not recommended for a bedroom or playroom where a softer carpet tile is needed. 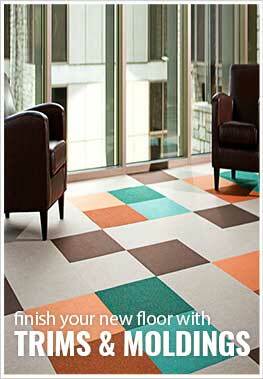 Carpet Tiles squares do not require special equipment or cleaning products. Install with adhesive or double-sided tape. I'm wondering what kind of underlayment would be required for the Pompeii carpet tile. Could it go on plywood or OSB board or would it require underlayment? Pompeii carpet tiles can be installed directly onto either subfloor. Great for our locker room.